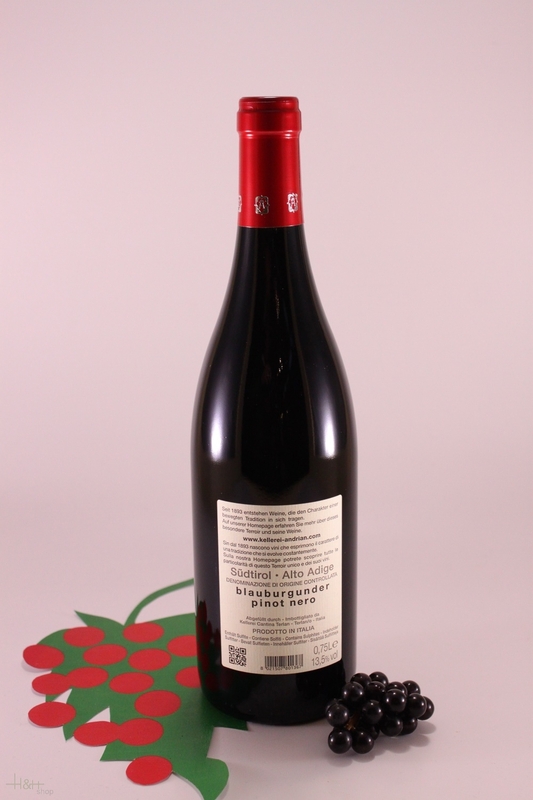 Appearance: Colour ruby-red; Aroma delicate berry and dried fruit aromas; Taste dry, medium bodied, with a lively acidity and a light trace of tannin. Buy now this product together with Small sausages without skin Piccoli 4 pieces vac. Nocker app. 100 gr. ready for shipment: in stock Small sausages without skin Piccoli 4 pieces vac. Nocker app. 100 gr. 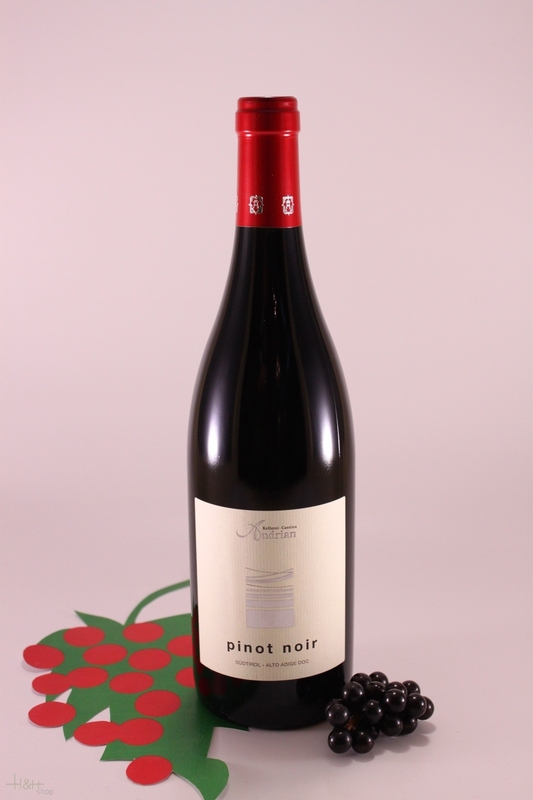 This Pinot Nero is characterised by strength and elegance and can withstand any international comparison. A spe - cial red wine in every respect colour, bouquet and flavour alike. Complex and multifaceted, with intense fruit aromas and an appealing vanilla scent which is the outcome of vinification and maturation in small oak casks. A wine like few others, recommended for special occasions and festi - ve banquets, an exceptional accompaniment to barbecued or roast meat dishes. Yet it is also a wine to be enjoyed for contemplation; a wine which is even more forthcoming following several years of maturation in the bottle. Lagrein Riserva Burgum Novum - 2013 - Castelfeder Winery 26,20 EUR / 34,93 €/lt. Cabernet Riserva Burgum Novum - 2013 - Castelfeder Winery 26,20 EUR / 34,93 €/lt. Chardonnay Löwengang - 2016 - Tenuta Lageder 43,40 EUR / 57,87 €/lt.